I’ve just realised that I haven’t posted anything to tempt the sweet of tooth lately. Not a morsel. By now I really should be posting something in honour of poor, executed St Valentine. A saint with only the most tenuous links to pleasure, romantic love, and chocolate. So tenuous as to be non-existent, an invention of Chaucer, and the English. I digress. And possibly depress. But still, I should post something chocolately. And soon. It won’t be grand. It won’t be clever. But it will fulfil my self-imposed brief, “do no (culinary) harm.” Kind of like my own Hippocratic Oath. But with calories. So what am I doing posting something whose title ingredient belongs in a roasting tray with carrots, onions and honey, or pureed into a thick winter soup? Well, because it is so good. Not perhaps chocolate good – although we can debate that. Or I can arm-wrestle you. You would probably win on both counts, although my high spinach intake might give me an edge. But I wish to champion the humble parsnip. Parsnips, those misshapen anaemic looking carrot-alikes, get no real love, and I have no idea why. Chefs love them. They are cheap, versatile (have a look at any fancy UK restaurant menu and you will see what I mean), keep well, are good for you. Sure they were once seen as only fit for cattle feed – along with kale, shock, horror – but we have mostly come to our senses and use them as people food too. But not very much. And not very creatively. What seems to really seal the no-deal deal is that they really do need at least a little cooking to enjoy them. So not one for the raw foodist. Even those who are happy to risk their teeth with rock-hard cauliflower, or nibble spongy strands of raw zucchini usually draw the line at raw parsnip. I can’t say I have ever taken a parsnip and thought, “I fancy a nibble at you.” But. But. A little weeny bit of cooking and, ah, they are lovely. 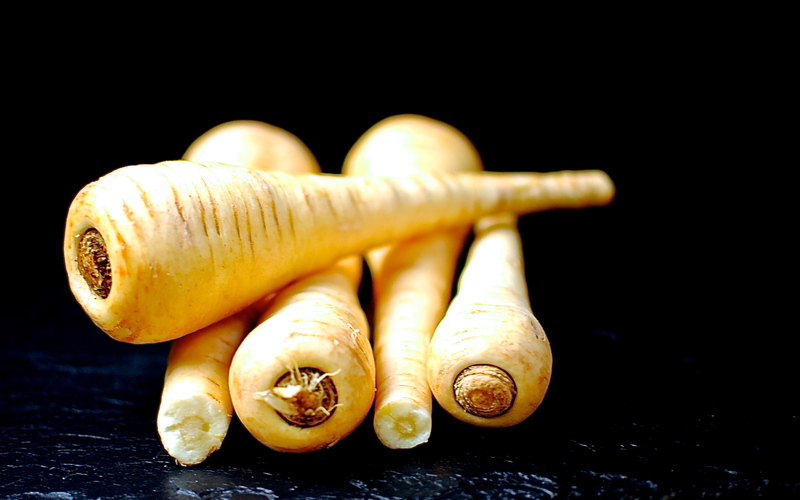 Prejudices about looks aside, the parsnip – when young and firm – is beautifully sweet, almost nutty, with a hint of earthy herbs and tangy citrus. When cooked – either roasted, boiled or steamed – the natural sugars develop and become almost fragrantly spicy. That’s what makes it so perfect for cakes. If you think about it, it is not very different to using carrots in baking, and no one thinks that is weird. Beetroot too seems to have leapt over the barrier and run across the finish line of baking acceptability. My Chocolate and Beetroot Cake is one of my most asked for recipes at work. All I am asking is to give this recipe a go. Or sub it into your carrot cake recipe. 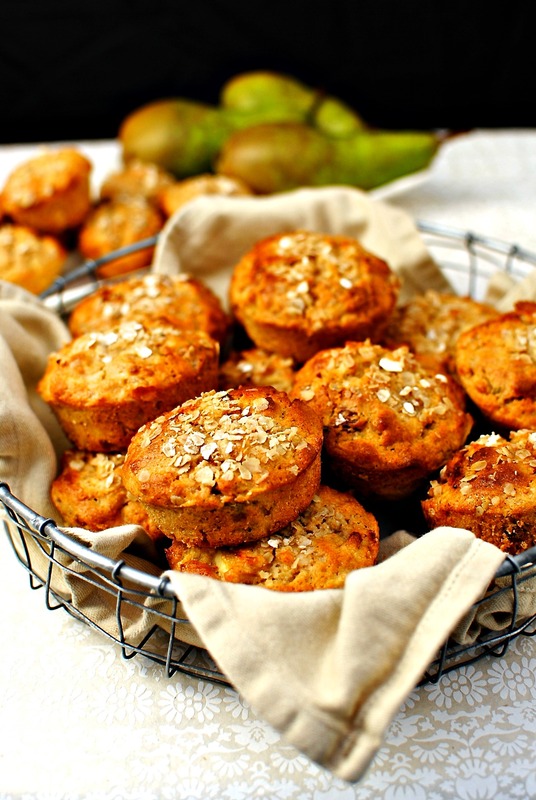 I have given these parsnip, pear and rosemary muffins to numerous classes over the past couple of years and of anyone who expressed an opinion, 1) they really liked them, and 2) no one detected the parsnips. So you could give these to fussy kids and either 1) tell them nothing. Ever. Or 2) tell them about the parsnips AFTER you get the thumbs up. Slap on a buttercream icing and seal the deal for sure. Usually I make these with half refined spelt and half wholemeal flour. But I have been lucky enough to be working with Sharpham Park spelt products as part of the month-long Spelt Challenge and used their Baker’s Blend for this recipe. It is probably really for bread but it worked great and had a super texture. I already use some of their products (I get them at Waitrose) but I didn’t realise how extensive is their range. Expect a few more savoury and sweet spelt goodness from me as I get creative with their very nutritious and high quality products, all organically grown and processed in Somerset. As a supporter of Bowel Cancer UK, Sharpham Park already have some superb and health-aware recipes on Great British Spelt Recipes.com. And so to the giveaway. Not spelt, but coffee. More specifically coffee from Gourmesso. Gourmesso are an alternative to the more expensive Nespresso capsules and are designed to be compatible with Nespresso machines. As I don’t have a Nespresso machine I can’t review them. But after reading reviews online, and seeing the 4.5 and 5 stars, I accepted their offer of 2 boxes of coffee, including their 15 different varieties and some decaf. Most stuff I get offered to review or promote I decline. But with Gourmesso there were no strings attached, no conflict of interest for me (coffee is good for you) and good independent reviews. Plus it seems a good bit cheaper than Nespresso, and with free delivery. So I want to pass this goodie on to you. Who doesn’t want coffee? Especially FREE coffee that you can enjoy in your pyjamas and without waiting in a long queue. To win a box of Gourmesso coffee capsules all you need to do is tell me why you need coffee. Pop this in as a comment on the blog, OR send me your answer/comment on Twitter (@foodtoglow), with a link to this post (use Bitly to make the link smaller) and mention @Gourmesso. Tweet + blog comments get double entries! This offer is available to anyone living in the UK, but it makes sense to have a Nespresso or Nespresso-type machine already. ;-). This offer will close February 10th at midnight. I will pick a winner at random, so no pressure to be super clever with your answer. But please do try and make me laugh. I will contact the winner by email.Good luck! This is an easy and really delicious way of making a sweet treat healthy and packed full of fibre. I used 225 grams of Sharpham Park Organic Spelt Flour “Baker’s Blend,” but any combination of refined and wholemeal would be good too. Line a 12-hole muffin tray with paper baking cups, or oil well. Depending on the size of your tin this will make 12-16 muffins, or a 23 cm/9 inch cake tin. Preheat the oven to 180C/160Cfan/350F. Vigorously combine the oil, eggs and sugar until it is thick and leaves a trail when the spoon – or beaters – is lifted. Sift over the flours and baking powder; fold in the remaining ingredients with the lightest of hands. Too much mixing will make the cakes tough. Fold the ingredients in just until the flour disappears and no more. I tend to use a silicone spatula or a large metal spoon rather than a wooden spoon as it is easier to lift and turn rather than mash the mix. Divide the mixture evenly between the cups or into the cake tin. Top with the oats if you like. Bake the muffins for about 20-25 minutes (depends on your oven), or the cake for 45 minutes. Leave to cool for 15 minutes in the tin before removing and stripping off the baking paper and cooling on a baking rack. * I haven’t used liquid sweetener such as honey or date syrup, if you decide to perhaps leave out the fresh pear: it mainly contributes moisture rather than flavour in this recipe. This recipe sounds delicious – 3 of my favourite flavours. And, now I need coffee to go with them…. Kellie, I’m sure these muffins would taste absolutely divine… it’s such an interesting combination of ingredients, but great flavours! Rosemary works surprisingly well – really well – with the muffins. I left it out one time by accident and I really missed it! It seems to complement the parsnip and pear. I know the lime marmalade sounds a bit odd, but it works too. I do know it all sounds a bit weird. Oh good, I am no the only one then! Rosemary is a great herb. I use it year round, and in all manner of recipes. I do a swede and polenta cake with a rosemary syrup, and it is pretty good. And I’ve made baked chocolate donuts with a rosemary glaze too. What sweet things do you use rosemary in? I have used rosemary in banana bread (yes, really! ), pumpkin muffins, shortbread cookies (MMMMMM!!!!!) and even ice-cream. Rosemary is my favorite herb and grows wild here in New Mexico. 🙂 Your creations sound delicious… are all of the recipes on your beautiful blog? Oh poor you. I can’t do caffeine, but just cos it affects my blood pressure. I can go from a respectable 110/70 to 130/100 in half an hour. Pretty scary, huh? 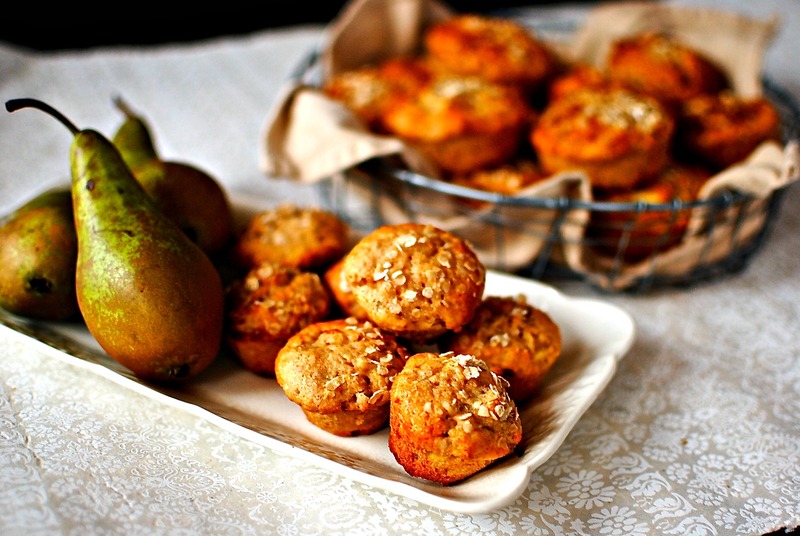 The muffins look amazing, what an interesting recipe, definitely got to try this out! My husband hates parsnips, I’ll have to see if I can get these past him…! It makes total sense that parsnips would work in something sweet, but I had never thought of it myself! I do really enjoy them roasted, in stews, or to give an edge to a vegetable mash/puree. But this is a good one Kellie. And count me out of the coffee drawing too. I don’t drink coffee and we don’t own a Nespresso – my husband (as Americans do) enjoys his drip coffee! Maybe you do too?! Actually I am a stovetop Italian percolator kind of gal. We have two – one for hubby and Miss R’s caffeine and one for me, the saddo who cannot tolerate caffeine. I need a recipe that makes god use of parsnips as none of us are keen on them, too strong a flavour for us. 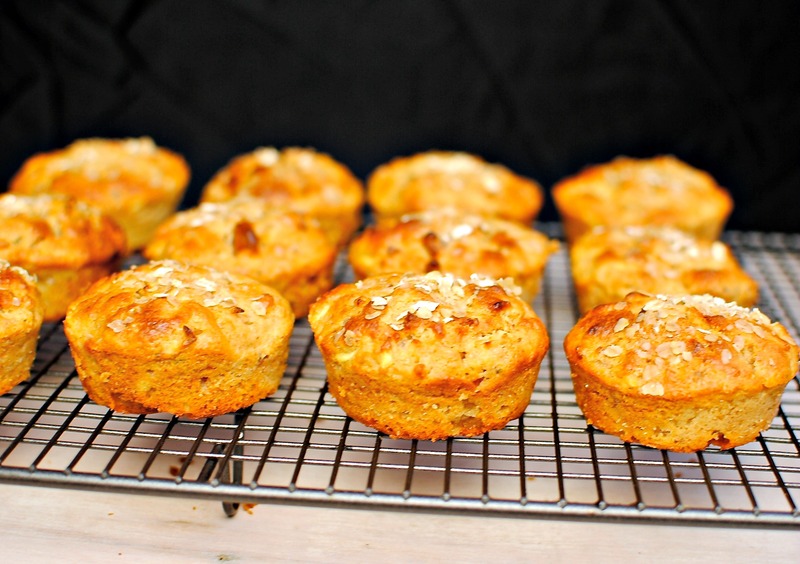 Maybe muffins could be the answer, especially as Rosemary is a favourite herb! This recipe sounds great. I’ve made muffins with parsnips before for people at work and no one could tell including the ones who don’t like veg! As for the coffee and why I need it….other than the massive headache that arrives around 10am if I don’t have it first thing in the morning, I would have to say because it makes my morning routine of getting ready for the day that much more enjoyable. Awesome endorsement of the humble but really quite fabulous parsnip.I’m glad I am not the only one to think this a really useful winter ingredient. Thanks Corin. Rosemary is so flavor especially when you let something just soak into the rosemary. Pears would make a delicious addition. Hmm, parsnip in muffins. I never would have thought, but it makes good sense! I’ll have to try it out sometime – I do know that it becomes nice and sweet when roasted, so I imagine that it would add a nice moisture and flavour to the muffins without being overwhelmingly parsnippy. As always, thanks for the great recipe! I don’t really do coffee, nor do we have one of the gadgets! I have! I love parsnip, pear and rosemary together. It really isn’t as weird as it seems. Thanks so very much Linda. I am thrilled that you like them so much. And I LOVE it when people make my recipes their own. Tweak away!